5. Choose your operating system and login with an Administrator account. You’ve now reached the Command Prompt of Windows RE (black screen with white text). Please follow all steps carefully. For your information; We use the drive C: in all our commands, however this could be different for each installation. Sometimes you need to use the default drive for WIndows RE (X:). If C does not work we suggest you try X first. 2. Once the process has completed, reboot your device and try to see if the message no longer appears when refreshing, resetting or when installing Windows. chkdsk scans for bad clusters on your harddrive and tries to repair these. This could result in minor file lost on your system, please make sure all important data is stored safely. Then the issue was not with your hard drive but with some bootrec settings. Let’s try to rebuild the bootrec and see if the problems now disappear. 1. 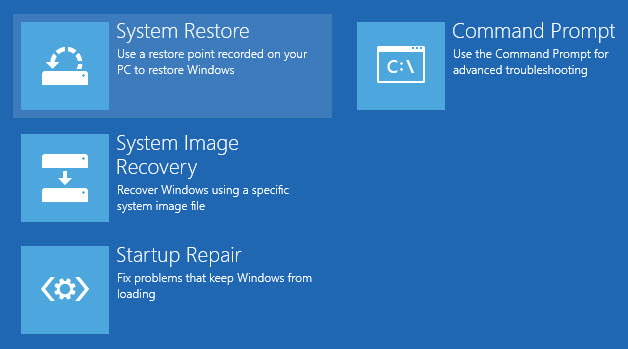 Boot back into the Windows RE (Advanced Startup Settings) and go to Command Prompt again. 2. Once in Command Prompt, execute the following commands, hit enter after each command. 3. Now reboot your device and see if the problem no longer appears. 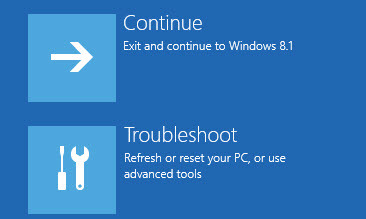 If the problem still appears then please visit WindowsQ on WindowsInstructed or leave a comment and we’ll try our best to help you further.